My last Z had good rubber on the wipers so never paid much attention to them, this new car that I'm just about to put on the road doesn't even have old blades to go by, are there ready made blades that will fit these arms or do I have to go to a Z specific store? Oh, and how long should they be? The early style blade frames with the twin parallel bars are usually available on eBay if you want to pay the price. 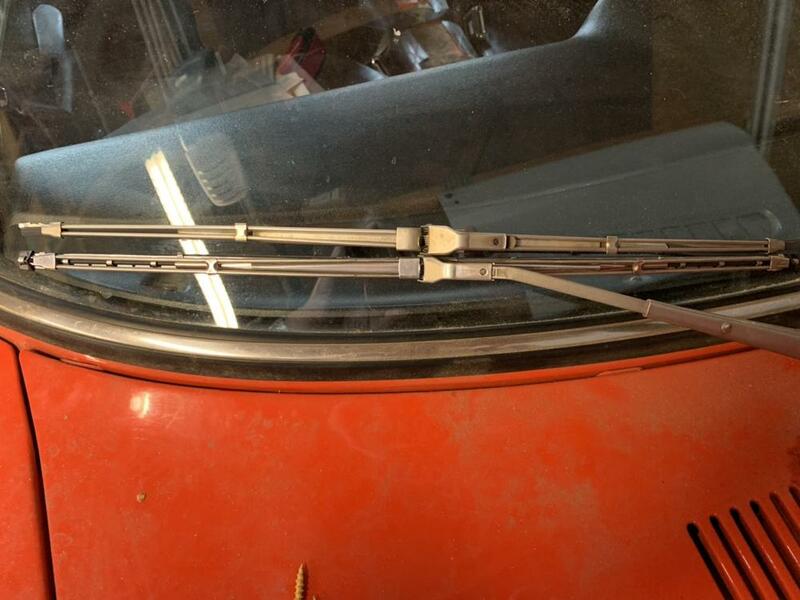 I think generic frames will fit the OE wiper arm - your local auto supply can probably confirm. The length of both blades is 18". May not need to be said, but---- that is for 1 blade not a pair. The part number is good---I've bought several from Courtesy in the last 6 months. The-z-connexion on E-bay is a solid source if you chose that route. NLA from Nissan as of about about 5/18. Whatever happened with this "Nissan commitment" to the early cars and the parts we need that we'd heard was true?? Banzai used to have them.....not sure if they still do. Just looked last night--they're gone there too! Mike used to have those offered as his "loss leader" and sold them at cost as a customer appreciation item. Now it seems the only "appreciation" will be the cost of them as the current supply dries up! Damn, I thought about ordering 3 sets from Banzai because the price was so good but only ended up ordering 1, but there is a huge variety of just the rubber blades, there has to be one design that will fit or made to be fit. Yes, even Banzai no longer has them. It's important to remember that Nissan doesn't discontinue an item out of meanness. If an item doesn't sell - those are too expensive, I can get a set of blades from Advanced Auto Parts for half of what Nissan charges - then why should Nissan reorder 10,000 from their supplier? Pure supply and demand. The refills are also NLA. I bought the last set from Nissan 2 weeks ago. The container was very dirty and it came from the Master Depot which always means that it is the last of a breed. However, Grannyknot may be right. There may be a refill - does the aftermarket still offer refills? that will work and fit. Be careful as an ill fitting refill could end up scratching windshield!! OUCH! Trico 44-180 refills fit both my cars very good. $8 at O'reilly's. After finding out that 240 and late 280 wiper blades are NLA from Nissan I decided to go on a bit of an adventure checking out what's available on the aftermarket. At least something that might be period looking. On top is a new Nissan factory 77/78 280 black pin drive type blade, B8891-N3500. Below that is an excellent substitute from NAPA, 60-018-8 for about $12.00 each. I like these because they look good and the pin drive is solidly mounted to the superstructure and not part of a universal mounting kit. At the bottom are a set of NLA Datsun refills B8891-45090. The last set Nissan had. From the ZCarDepot website header: "We carry OEM genuine Nissan and aftermarket parts. OEM parts will have "OEM" in the title." 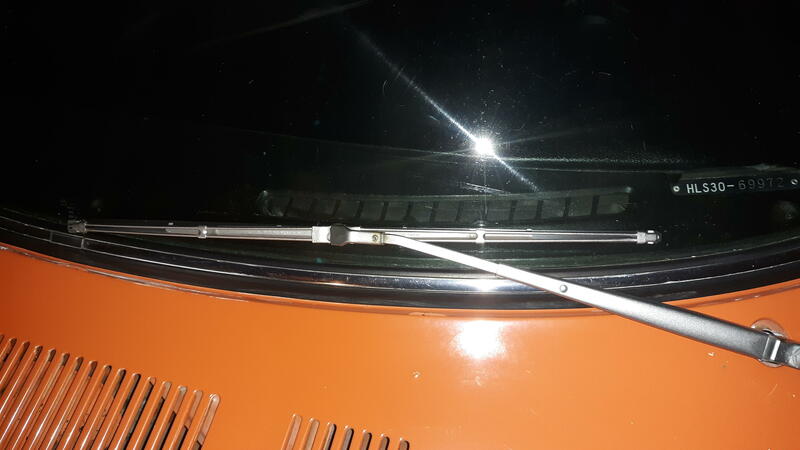 From the product description: "Wiper Blade Arm Wire Metal Original Style 240Z 260Z 280Z 70-76"
I am not sure if this "original style" wiper blade is really available or not. Note that the description does not say "OEM" so I would think that it is from some aftermarket supplier. It is a very close copy of the original wiper from the looks of the image. Ryan's website allows you to place it in your cart. Incorrect for 77/78 280. Beware of Z Car Depot's indicated applications as they are often wrong. I agree that the Z car Depot blades are not for 77-78. They are for the 70-76 as their listing states. As a follow up, this morning I contacted Ryan at www.zcardepot.com and he confirmed to me that the wipers he is offering on the website are not OEM Nissan. He specifically mentions that in the listing by referring to them as "original style".They are a very close copy that he has sourced when the original wiper supply dried up. As of now these are the closest you can get to the visual appearance of the OEM wipers. He does have them in stock. Here’s a pic of one of the wiper blades I just got from ZCarDepot a few weeks ago. Not sure if the one laying above it is an original or not. The on top looks OE to me. Here's mine that's definitely OE. Probably just enough difference in the copy from the original so as to not rub suppliers fur the wrong way and get into infringements.